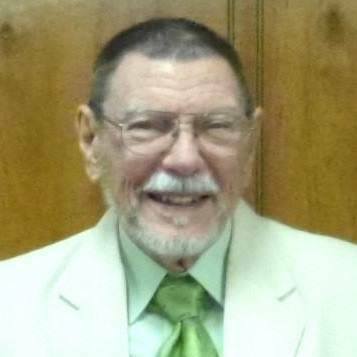 Ed Murfin is a retired minister, former RLS Foundation support group leader for northeast Florida and southeast Georgia, and now an active 82-year-old volunteer contact and advocate in the northwest Florida/southern Alabama area. He has had RLS all his life, remembering back as far as elementary school when he got in trouble for wiggling the desk in front of him and behind him because he was such a "fidgety kid." I’ve had a lot of experience in working with people in my lifetime. About 15 years of this has been with volunteers within the RLS Foundation on several different levels, including my own volunteer roles. I outline this to show that this experience is widespread, resulting in my conclusion that volunteers are the key to the success of almost any movement. Yes, YOU, as a Foundation member, donor, board member, advocate, contact, support group leader or member of an RLS Foundation support group, are important to the overall restless legs syndrome community and to the general community in which you live. No matter on what level you volunteer, your importance stems from the fact that you are single-handedly and corporately raising the level of awareness of this terrible affliction called RLS. Of course our staff in Austin, Texas, are on the front-line and hold all this together, but they couldn’t do much of their work without the rest of us. I had a church member tell me once that I as their minister was paid to be good, but he as just a member was good for nothing – and yet his work and testimony was a hundred-fold times more effective than mine. And I had to agree with him. And I say that with a great deal of respect and appreciation for Karla and Hillary and Faith, as I had for all of their predecessors and will have for any that succeed them. But I’m writing today to say that they can literally work their fingers to the nub, and they and the Board of Directors can make all kinds of statements and publish results of much research, but unless there are people out there where the RLS rubber hits the road, who walk in the night and who let themselves be known, who support the Foundation’s work with their memberships, who lead support groups and attend meetings, it will all be so much talk in the wind and so much ink on discarded paper. Let me say how rewarding it is to be an RLS Foundation volunteer out in the trenches – whether you have 150 attendees coming to regular meetings or 15 or 5, or you simply provide support via phone or email. Picture this: Someone calls you after seeing your name in NightWalkers or a newspaper article, and they tell how disturbed they are or in how much pain they are in because they’re all alone suffering from “ants in their legs.” You let them know they’re not alone in your first few consoling words, and they call you an angel from heaven or at least a saint on earth for listening. You yourself have to pull yourself down off of Cloud Nine. You do feel important, as if you’ve just saved a life – and you may very well have done that. I know I was a helpful part of saving a young lady’s life once. Her mother told us the girl had tried to commit suicide several times before she brought her to our RLS support group meeting. The high school senior has been diagnosed as having ADHD most of her life because she was such a fidgety person. Through the years she had been given tons of the traditional medicines normally given to ADHD patients. To make a long story short, her mother had seen our announcement in the paper and thought it was a long shot, but maybe her daughter had what we were talking about. Our speaker that day recognized all the symptoms in this girl, and knew that she did not have ADHD, but instead had a full-blown case of RLS and PLMS. Those medications she’d been taking were absolutely working against her. We worked together and changed the girl’s life; she graduated from high school at the top of her class, and instead of later planning her funeral, her family was celebrating a college graduate who was achieving honors in her life. Had our group not been meeting at the place and time we were, that story may have been quite tragically different. We would’ve never known about the opportunity we missed in saving her life. That one event bolstered my dedication to continue volunteering to support the RLS Foundation, and reach out to RLS sufferers wherever they are and in whatever way I can as long as I can. Someone was there for me when I reached out in desperation way back in 2002, when I called the RLSF office in Minnesota and said I needed help. She recognized my need, capabilities and level of influence, and invited me to become a Foundation support group leader in Jacksonville, Florida... That changed my life. I got relief from my RLS which I had from childhood, and it set me on a path to be the help I have been to the RLS community. I am dedicated to raising RLS awareness and raising the quality of life for all. I am now 82 years old, and Bev and I recently celebrated 61 years of married bliss (even though I’ve kicked her out of bed many a night). We have two sons, four grandchildren, and two great-granddaughters. I retired from being support group leader several years ago, and graduated to being a volunteer contact. In 2016 we moved from Jacksonville 360 miles due west on I-10 to Milton, Florida, just north of Pensacola, in Florida’s western Panhandle south of Alabama. We are now enjoying life just a few miles from one of our sons and one granddaughter and the two great-grands. I continue in my role of contact for the RLS Foundation, and am hoping to get a support group started somewhere in this area (where there has never been one). As you can see, RLS has shaped and re-shaped my life and continues to be a part of it. It is imperative to exercise your influence by supporting your local support group leader or becoming one. You just never know whose life might change as a result of your dedication. If your area has a group but no leader (as is the case in several places in Florida), step up to the plate and hit that RLS ball out of the park. You are needed. If your responsibilities are such that you can’t handle monthly or quarterly meetings, work on a well-publicized once-a-year gathering with good speakers in a good location. I and the other Foundation volunteers and staff stand ready to assist you, and make whatever you do a success. You will feel good about yourself and what you accomplish, and those that will be blessed will be many. If you are in west Florida, southern Alabama, or nearby Mississippi (but really, anywhere) I am but a phone call or an email away (850-564-0266 or edmurfin@rlsgroups.org) – and so are the others. Let us help you help others. Let’s raise the awareness level of RLS way above the laughing level it is sometimes, to the serious level it needs to be so that we can say we were a part of the solution and not of the problem. This way we WILL see a CURE in our lifetime. It’s time we work on this in a united way. If you are reading this piece then you are a part of the solution. Volunteer to lead a group – get a co-leader if necessary – plan to meet at least once a year, and maybe have an evening walk of RLS people ("Night Walkers") to help raise the awareness of this incredibly debilitating disease and to help your fellow sufferers. We can’t afford to let this one slip. There are a lot of causes to support out there, folks, and no one except those who suffer from RLS is going to fight our battles for us. Last month, researchers reported the identification of thirteen new gene loci that increase the risk for developing restless legs syndrome. This is a major milestone in demonstrating the power of genomics and its capacity to locate genes responsible for certain diseases. It has long been known that RLS runs in families. Parents with RLS often have children, or even grandchildren, that exhibit signs of restless legs. Many adults with RLS recall their parents experiencing RLS symptoms decades prior, before the disorder had a recognized name. However, discovering how and why this familial phenomenon occurs has been difficult. To date, the most successful research method in searching for genes associated with RLS has been genome-wide association studies (GWAS). This strategy involves using a large pool of individuals -- divided into a group with RLS and a group without RLS -- and screening common variants in their DNA. In 2007, a GWAS study in the Icelandic population, funded in part by the RLS Foundation grant to Dr. David Rye of Emory University, identified for the first time a gene variant on BTBD9 that was associated with the “risk” of developing RLS. Subsequent studies by Dr. Juliane Winkelmann of Technical University of Munich and others further broadened the number of genes that were potentially involved in the risk of developing RLS. In this most recent study, "Identification of novel risk loci for restless legs syndrome in genome-wide association studies in individuals of European ancestry: a meta-analysis," researchers from many countries in Europe and North America combined three GWAS datasets, totaling 15,126 individuals with RLS and 95,725 individuals without RLS. The researchers then went to work on searching for genome-wide signals. To confirm their results, they used data from an additional 30,770 individuals with RLS and 286,913 individuals without RLS to ensure that their data could be replicated. And it could. The strongest risk factor for RLS was confirmed as gene locus MEIS1. A strong association was observed near the CRBN gene locus. While last month's study did not prove that these 19 gene variants cause RLS, it is certain to help future research better understand the molecular causes of the disease, ultimately leading to the development of new treatment options for this serious neurological condition. As we plan for the season of giving thanks and gathering with family and friends, I want to be the first to thank each of you for your loyal support to the RLS Foundation. Your gifts have allowed a once tiny organization of a committed group of volunteers to grow and become the voice of the RLS community for 25 years. We value our relationship with you, and want you to know that the RLS Foundation is here when you need us. As a nonprofit organization, our priority is clear: to support and serve the RLS community. Through our network of resources, you can remain connected to people who care and can relate to your concerns. Our online Discussion Board and blog, as well as our social media outlets ( Facebook, Twitter, Instagram and others) provide instant connection to others. Our staff is here to help you with a listening ear and informational materials, and can help identify RLS providers in your community and at certified RLS Quality Care Centers. Our network of volunteers are there to support you via phone or email, and through comforting and informational support group meetings. On November 28, we hope you will join us on #GivingTuesday, the global celebration of giving. Membership is the lifeblood of our organization, and allows for us to provide integral resources to everyone suffering from this often-misunderstood disease. Your $35 each year directly strengthens our programs, including sponsoring research, producing educational events and materials, maintaining support groups, and providing assistance online. Considering membership but haven't taken action? Know someone that would benefit from membership? Want to give the gift of membership to someone in need? Take action so we can reach our goal of 25 NEW Foundation members by the end of #GivingTuesday! Your support makes a real difference in the lives of individuals living with RLS and their families. 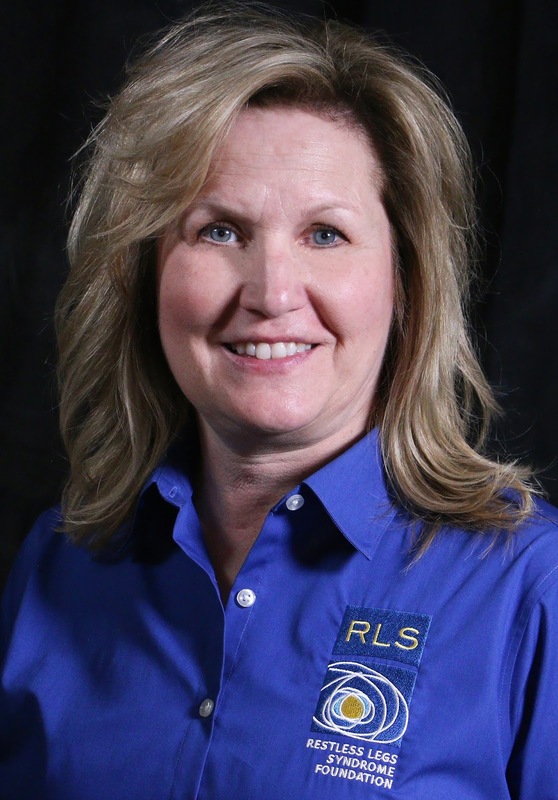 We are pleased to welcome a brand new member to the RLS Foundation's Board of Directors, Carla Rahn Phillips, PhD! Dr. Phillips was born in Los Angeles, California. She earned her B.A. in History at nearby Pomona College in Claremont and her Master’s and Ph.D. degrees at New York University. She then joined the History Department at the University of Minnesota and taught there for more than 40 years, retiring in 2013 as the Union Pacific Professor in Comparative Early Modern History. Her teaching and research have focused on Europe, with an emphasis on Spain and its overseas connections in the period from the late 15th to the late 18th centuries. Among her publications are The Struggle for the South Atlantic: The Armada of the Strait, 1581–84, editor and translator (London, 2016); The Treasure of the San José: Death at Sea in the War of the Spanish Succession (Baltimore, 2007); “Visualizing Imperium: The ‘Virgin of the Seafarers’ and Spain’s Self–Image in the Early Sixteenth Century,” Renaissance Quarterly, 58, No. 3 (Fall 2005): 815–856; "'The Life Blood of the Navy': Recruiting Sailors in Eighteenth–Century Spain," The Mariner's Mirror 87, No. 4 (November 2001): 420–445; "Time and Duration: A Model for the Economy of Early Modern Spain," American Historical Review 92 (June 1987): 531–62; and Six Galleons for the King of Spain: Imperial Defense in the Early Seventeenth Century (Baltimore, 1986). In addition, Dr. Phillips has published three books and numerous articles with her husband, William D. Phillips, Jr., among them A Concise History of Spain (Cambridge, 2010, 2016); Spain's Golden Fleece: Wool Production and the Wool Trade from the Middle Ages to the Nineteenth (Baltimore, 1997); and The Worlds of Christopher Columbus (Cambridge, 1992). "A distinguished academic and scholar of international stature, Dr. Phillips would be an asset to any organization," said Linda Secretan, RLS Foundation support group leader, fellow board member and head of the board's Governance and Nomination Committee. "We are pleased and honored that she has chosen to join our board. We hope to tap into her experience and acumen to make some RLS Foundation history of our own." Now retired and living in central Texas, Dr. Phillips continues her research and writing, as well as being active in several professional organizations. Over the years she has held major offices in the American Historical Association (15,000 members), the Association for Spanish and Portuguese Historical Studies, and the Forum on European Expansion and Global Interaction, among others. She was diagnosed with RLS more than 20 years ago, but the symptoms are currently controlled with medication. She is very pleased to join the board of the RLS Foundation in order to participate in its important work. Welcome to the team, Dr. Phillips!